The act of declawing cats represents one of the most highly controversial practices in veterinary medicine. Pet owners who are considering having their feline declawed should research the issue carefully, considering risks, potential complications, and the comfort level of their pet. 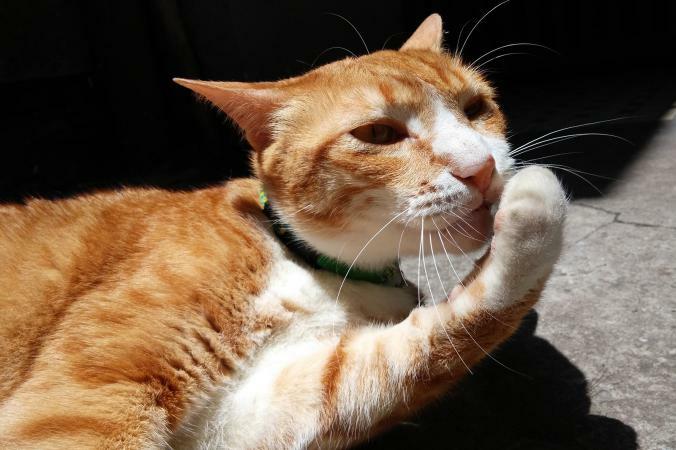 Despite the issues surrounding declawing, there are still certain instances in which a pet owner should not be afraid to explore this option for his cat. The average pet owner may not be familiar with the specifics of cat declawing. In fact, declawing seems to have become a normal part of owning a new kitten. After all, cat claws can prove injurious to humans and other pets. Some cats will simply not stop scratching furniture or shredding household objects. Declawing seems to be the surest way to prevent and eliminate such behaviors. However, declawing is a major surgery. A cat's claws extend from the final bones of its paw. A veterinarian cannot remove the claws without actually amputating these bones. In human terms, this would be a procedure similar to having your last carpal (the bone attached to the outermost knuckle) taken out. Clearly this is not the same concept as having a fingernail removed. In order to declaw your cat, the end bone on each toe must be removed. Herein the controversy arises. Some people believe that removing your cat's bones in order to eliminate its claws is a form of animal cruelty. The claws are the first line of defense for a cat and without them, the animal cannot protect itself from any potential threats. Declawing has become so controversial that the practice has been banned in some countries. A list of countries where declawing is now illegal can be found at CatSupport.net. The complications that can arise as a result of this procedure include a long and painful recovery period, excessive bleeding, infection, personality changes, and even a permanent crippling of your animal. Although such cases are rare, it is necessary that a veterinarian discusses any possible complications, risks or safety issues with pet owners well before the surgery is conducted. The minimum age at which most vets will declaw a kitten is around three months old, although some may prefer to wait until the animal is slightly older. A young kitten's bones are softer, which makes the procedure a little easier to perform. Kittens also tend to heal quicker than adult cats, so there is some benefit to declawing at an early age if it truly seems necessary to do so. Adult cats can undergo the procedure, but their recovery is a bit tougher, and each individual cat's health must be taken into consideration when deciding whether it is a good candidate for the surgery. Older cats also tend to be more aware of their pain than a frisky, easily-distracted kitten. Your veterinarian may have an opinion regarding the ideal age period for declawing, but the general consensus places the age range around three to eight months. According to VetInfo.com, there are three different methods used to declaw cats. The cost of each method varies depending on an individual cat's situation, but the figures provided below will give you a good idea of what to expect. For an accurate quote, you will need to consult with your own vet who will base the cost on your pet's age and any special requirements that may be involved. This is generally the least expensive method for declawing, and it involves using a sterilized Rescoe nail trimmer to remove the tip of the bone that holds the claw. Once that portion of the bone is removed, the wound is sutured shut. This method is not always a complete success because if enough of the bone isn't removed, there's a chance that a claw could grow back. The average cost for this procedure runs approximately $100.00 to $150.00. With this procedure, the bone from which the claw grows is completely removed. This method is more effective because there is no chance that the claws can ever grow back. The cost of this surgery runs around $250.00 to $300.00. The newest practice of laser declawing may prove safer than surgically removing the bone with a Rescoe clipper or scalpel, and this makes it the preferred method for declawing in many cases. Laser declawing can seal up small blood vessels during the surgery and lessen blood loss during and after the procedure. Recovery time may be faster and less painful for the cat. However, you will want to make sure that your veterinarian is experienced with the laser method. Extensive training is required in order to perform this laser procedure. The cost for laser declawing can be as much as $500.00 on average. Most cats will be kept overnight at the clinic following surgery, and the first three days are usually the most difficult for a newly declawed cat. The paws are usually tender during this time, and staff recommends owners provide their cats with non-clumping litter for approximately a week after surgery. That's because clumping litter could potentially stick to any seepage coming from the surgical site, as well as the fact that clay litters in general are abrasive and could cause injury to the paws as the cat scratches and digs in the litter. As long as there are no complications, most cats heal fairly well and are back to normal within five days after surgery. Despite the backlash that surrounds declawing, many pet owners choose to go forward with the procedure. Animal cruelty may be a consideration, but some cats are excessively violent when it comes to using their claws. In such cases, declawing may be a last resort before a pet is taken to a shelter. Cats with diseases that cause immune-suppression may not heal easily. Should they continuously scratch themselves, infections can set in. These are just some of the instances in which a pet owner is justified in choosing to have the procedure carried out on his cat. Where you live in the United States will also pose issues for your declawing plans. Some California cities such as Beverly Hills, Santa Monica, Los Angeles, San Francisco and West Hollywood have banned the procedure. It is possible that more cities will follow suit. Although the majority of cat owners do not reside within the state of California, there may come a time when you will need to travel outside of your city limits in order to have a cat declawed. Pet owners should also know that the majority of declawed animals go on to live happy, fulfilling lives, free of complications. If you are struggling with the decision to declaw, consult fellow pet owners about their experiences with the procedure. You may be surprised to learn that many declawed cats do not suffer from the psychological and/or physical traumas described in certain pamphlets and on websites. Let your vet help you make the best decision about whether or not to have your pet declawed.